Using the ancient Zen tea ceremony, Osho demonstrate the relationship between relaxation, alertness, and meditation. A cup of tea is the most ordinary thing in the world, yet Zen changes this ordinary thing into an extraordinary experience. 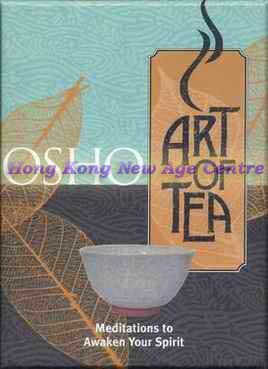 Here, Osho shows how the art of tea is a form of meditation, telling Zen stories and anecdotes to explain the basic concepts behind the tea ceremony and the original purpose in the Zen tradition of each element of this gracious and refreshing way to gather together with friends. In addition, there are several simple exercises and meditation techniques to bring new vitality to the senses, to promote relaxation, and to enhance the appreciation of the simple pleasures of life. A practical section at the end of the book gives an overview of the difference varieties of teas and what criteria to use in selecting them, plus a list of common herbal tea ingredients and their benefits. The book is illustrated with forty pages of colour. Two tea cups and a bamboo mat form the perfect "starter kit" for transforming the everyday act of drinking tea into something sacred.